grown from seed about 15 yo. Every year our trees will need to be worked on. 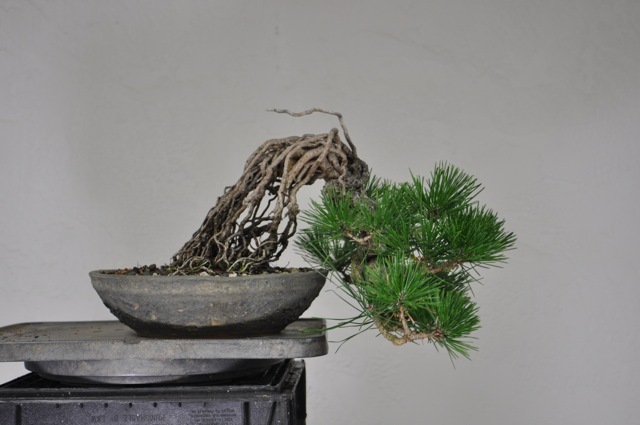 This hinoki cypress came from rooted cutting. It is about 30 years old. Last year it was in BIB show in January. it also was shown agin in November at GSBF convention in San Jose. Akio Kondo is Boon’s senior colleague. 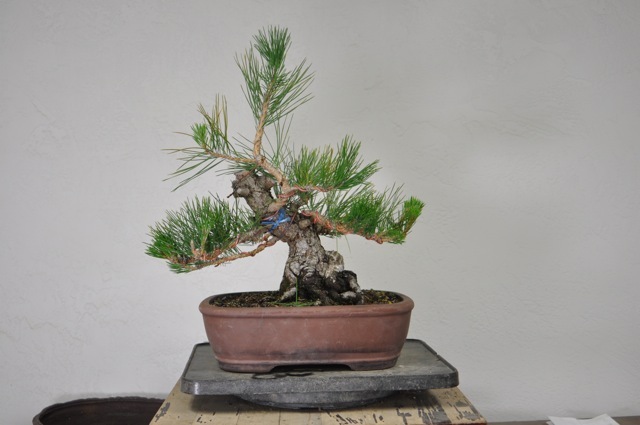 They both came out of the very famous bonsai garden, Kihachi-En in Japan. 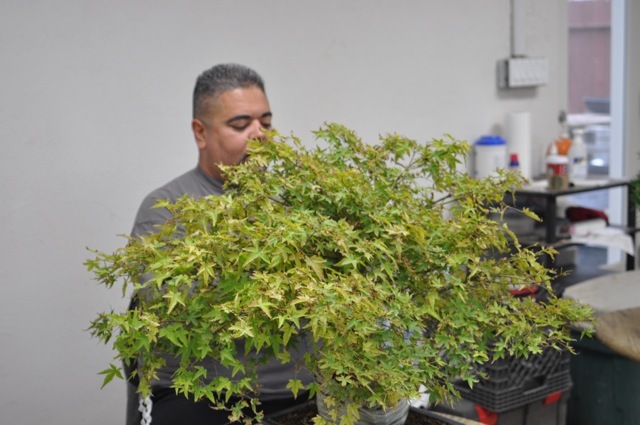 Kondo is a busy and succesful bonsai master in Japan. 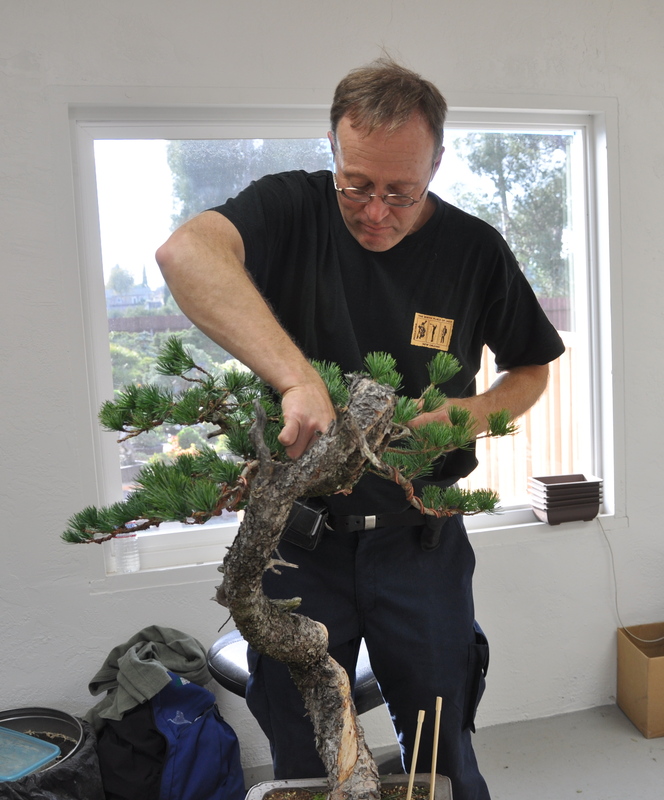 Among his awards is the very prestigious Nippon Bonsai Koku-Fu Award. 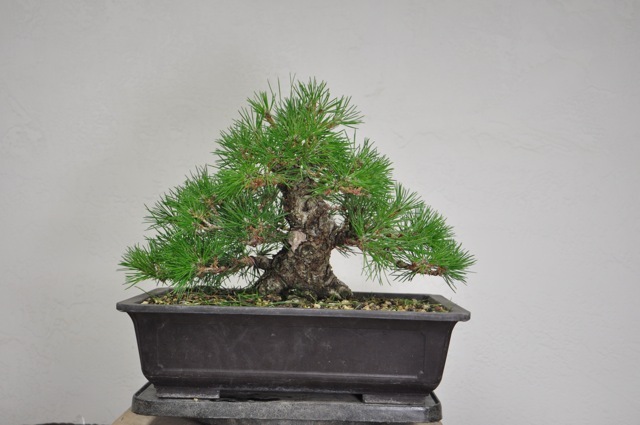 Along with the award, the winner will also receive a $ 300.00 bonsai pot carried back from Japan. Which tree will it be? Come and see. 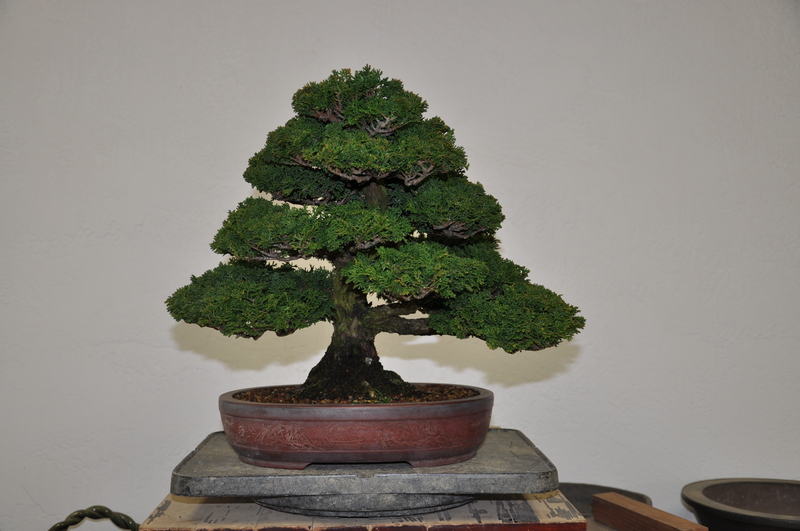 The 2010 Bonsai Show Book Is Here! 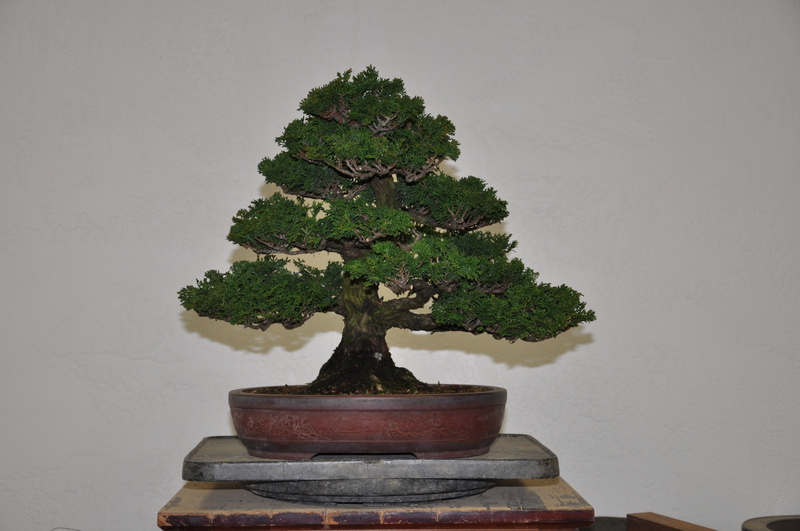 Posted on January 5, 2011 | Comments Off on The 2010 Bonsai Show Book Is Here! You can now buy the “Bonsai Exhibit Book 2010” from our last show. Michael did a great job on the book. The photography was great. With just over a hundred pages of quality bonsai, this is a book worth having. Of all the show books out there, this one has one added value. 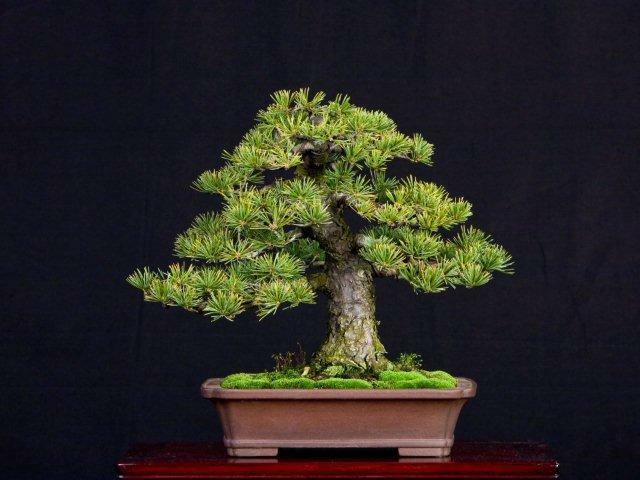 With every bonsai there is also information about the pot that was used with each bonsai. 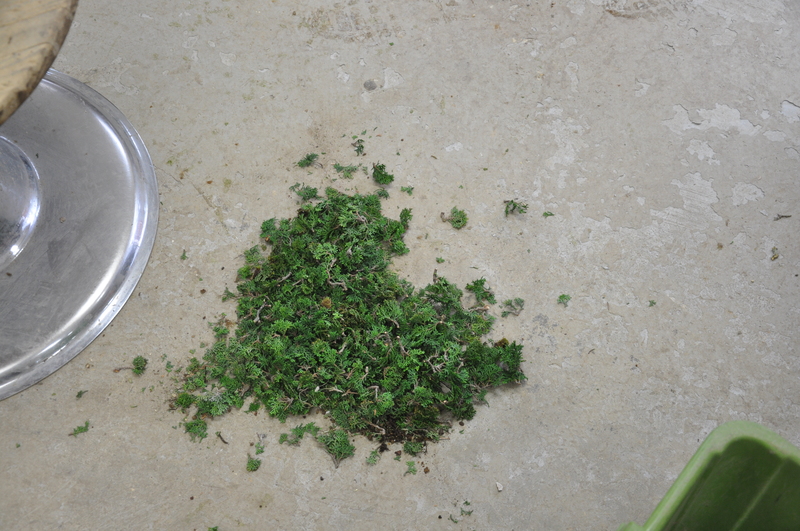 That makes this book also a pot-study book. My favorite pot is on page 37. First of all, the bonsai is ancient. 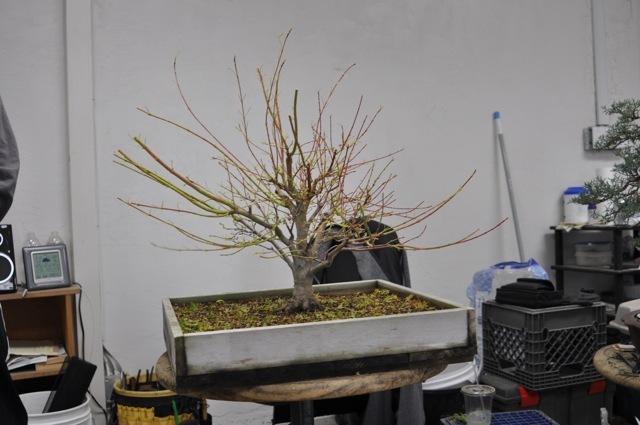 It is a variety not often seen: “Mino Yatsubusa” trident maple (these refuse to ramify). But more importantly, the glaze on the pot matches the flaky bark of the bonsai well. It has my vote for best matching pot and tree. Comments Off on The 2010 Bonsai Show Book Is Here! We are proud to announce that we have 2 more graduate students this fall. I want to congratulate Tom Knoblauch. He won the best of show at PNBC in Washington. 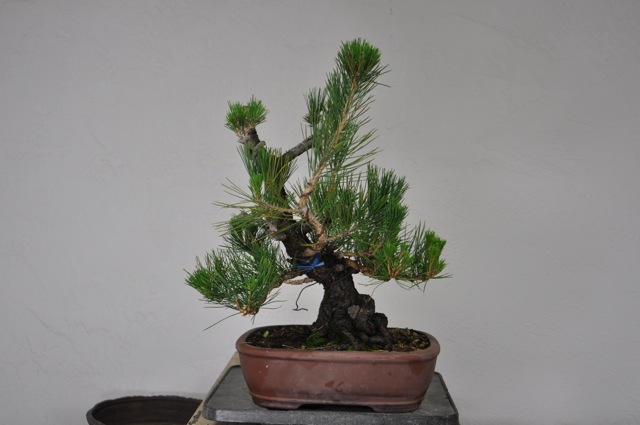 It is the Japanese white pine below. This tree was also in the first national show in Rochester, NY. The picture is from our 2008 B.I.B. bonsai exhibit. Today it is much improved and more refined. As part of the greater B.I.B. 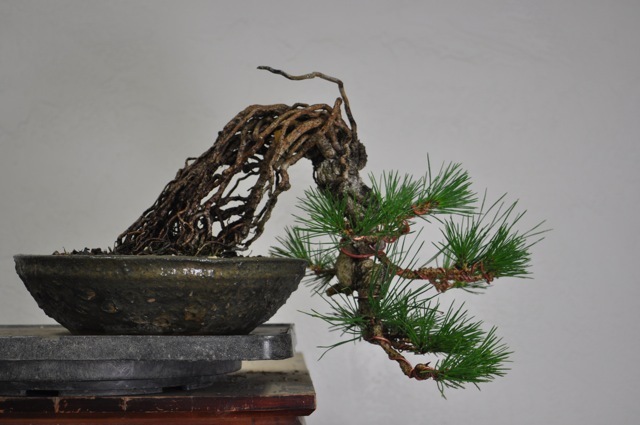 Bonsai Boon family, Tom is a graduate of the three year Intensive Program. One of the greatest satisfactions I get is when students and friends do well. Like Tom , many students are now becoming leaders in their communities. They are beginning to teach – and they show great trees. Again, congratulations Tom. This is why I teach.